Arbitration agreements cause Utah District Court to dismiss case and award attorney’s fees against plaintiff in C.R. England v. Swift Transportation Company, et al. The issue of whether to dismiss a lawsuit on a plaintiff’s Rule 41(a)(2) motion or a defendant’s Rule 12(c) motion, and whether ordering attorney fees against a plaintiff who brought a lawsuit in the face of binding arbitration agreements is appropriate, recently came before a Utah District Court. According to the court’s opinion, the appropriate vehicle for dismissing the claims against the defendants was plaintiff’s Rule 41(a)(2) motion, and that attorney fees levied against the plaintiff were appropriate pursuant to the terms of the defendants’ contracts and the court’s inherent authority. The plaintiff was an interstate motor carrier headquartered in Utah that offered a training program to prospective drivers for which the trainee agreed to contract with the plaintiff for a certain period of time and thereafter to not compete against the plaintiff for another period of time. Each of the contracts offered to the drivers also contained an arbitration agreement, requiring the drivers to arbitrate any disputes they had. Approximately six months before filing the instant case, plaintiff filed an almost identical case against another transportation company its drivers. There, the drivers’ contracts contained arbitration provisions identical to those at issue in this case. When the arbitration agreements were brought to the plaintiff’s attention, the plaintiff agreed to dismiss the case against the individual drivers. In this case, the plaintiff proceeded along the same lines, initiating suit against the defendants. Defendants pro hac vice counsel, instead of filing an answer to the complaint, filed a motion to dismiss on jurisdictional grounds, arguing that there was no diversity of jurisdiction. After exchanging briefs, the plaintiff agreed to dismiss the John Doe defendants from the complaint, and the court entered an order to that effect. 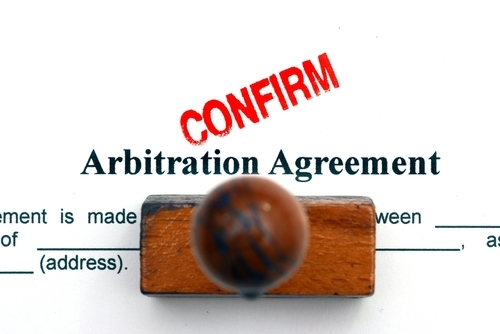 Eight months after the case was filed, the named driver defendants answered the complaint, citing as an affirmative defense the existence of the arbitration agreements. Around that same time, defendants’ counsel contacted plaintiff’s counsel asking plaintiff’s counsel to send copies of the drivers’ contracts so he could confirm that they contained the arbitration provisions. Defendants’ counsel also asked plaintiffs’ counsel to voluntarily dismiss the case against the defendant drivers based upon the arbitration agreements. Plaintiff’s counsel responded that he could not agree to a dismissal, but that he would discuss the matter with his client. Defendants’ responded that if there was no voluntary dismissal then he would file a motion to dismiss and also demand attorney’s fees. After receiving no response for more than six weeks, defendants’ counsel filed a Rule 12(c) motion for judgment on the pleadings. Upon receiving the motion, plaintiff’s counsel contacted defendants’ counsel and offered to dismiss the case against the driver defendants. 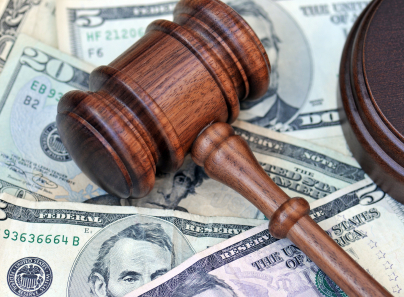 However, defendants’ counsel stated that he would only agree to a dismissal if the plaintiff would agree to pay all attorneys’ fees incurred to date, or, in the alternative, if the plaintiff would agree not to seek arbitration against the drivers. The plaintiff’s attorney was unwilling to agree, and instead opted to file his own Rule 41(a)(2) motion to dismiss. First and foremost, it was improper and unfair for England to bring a lawsuit against the Driver Defendants in federal court when England knew, or should have known, that there were arbitration agreements in the drivers’ contracts. These contracts, prepared by England, not only insisted on the arbitration provisions, but made them exclusive and broad enough to cover “all claims or disputes, whether or not arising out of Employee’s employment by the Company, that the Company may have against the Employee . . . . Previous 4th District Court awards sanctions against IHC for trial counsel misconduct in Wilson v. IHC Hospitals, Inc.